Wisconsin-born. Owned by a dentist. Learn about Wisconsin's leading family-owned group dental practice. Dental Associates is Wisconsin’s premier dental provider, offering your family complete dental care at 14 convenient locations. What once was a small office serving only one Milwaukee location is now an AAAHC (Accreditation Association of Ambulatory Health Care) Accredited organization of over 800 team members serving 14 clinics and thousands of families throughout Eastern Wisconsin, from Green Bay to Milwaukee and down to Kenosha. We’re proud to be owned by a practicing dentist, Dr. Thomas Manos. In fact, we’ve been owned by Dr. Manos’ family ever since our first clinic opened in 1974. We truly believe that your family receives the most complete, coordinated care when you visit any of our clinics. Not only do our dentists and their teams treat each patient as if they’re family, but you won’t have to be referred out for specialty dental work, should you ever need it. If your dentist finds you need a root canal, dentures, dental implants, or other specialty dental procedure, you can have it all done in the same clinic or one of our nearby clinics. Also, you can visit your dentist in the same facility where your child visits their pediatric dentist. Then when it’s time, your child can visit our orthodontics department for a consult about braces…and you can do it all in the same building! That’s the Dental Associates benefit, and we know you’ll enjoy having all your dental care from one dental provider. Our dentists and their teams are the best in the industry. They’re caring, compassionate, and are dedicated to providing Wisconsin residents with the very best care. Learn about what inspires our team members in Our Calling videos or read Dentist Reviews from actual patients. Dental Associates is led by Dr. Manos, who champions the belief that team dentistry builds the best relationships and delivers the best results for patients. That’s why Dental Associates provides complete family dental services, from general to specialty dentistry, all with a focus on excellent care that is affordable, accessible and personalized. In fact, Dental Associates is nationally accredited through the AAAHC as a Dental Home organization. This means we have an ongoing relationship with our patients and deliver comprehensive, continuously accessible, coordinated care in a family-centered way. Our primary provider teams include a general dentist, at least one hygienist, dental assistants and administrative support staff. You can choose your dentist and they will provide you care at each dental visit, which allows you to develop a meaningful relationship with your dentist and their team. We also have a pediatric dentistry team who treats children younger than 12 years old. When needed, specialists in orthodontics, oral surgery, and periodontics consult and support the primary care providers’ patients. All it takes is a walk down the hall because, in most cases, the entire team is in the same building. Dental Associates is proud to be nationally accredited through the Accreditation Association for Ambulatory Health Care (AAAHC). Accreditation by AAAHC means Dental Associates has undergone a thorough, independent survey of our policies and practices held against nationally-recognized standards. The accreditation process involves a self-assessment and an on-site evaluation conducted by AAAHC surveyors. Being accredited by AAAHC means that Dental Associates is committed to providing high-quality care, and more importantly, that we demonstrate our commitment through ongoing self evaluation, peer review and education so that we can continuously improve our treatment and care. We’re also proud to have received an A+ rating from the Better Business Bureau (BBB) and to consistently receive high Press Ganey patient satisfaction scores at all our locations. Learn more about our AAAHC accreditation and our Press Ganey Dentist Reviews. Our long list of awards & recognitions also confirm our longstanding level of care. 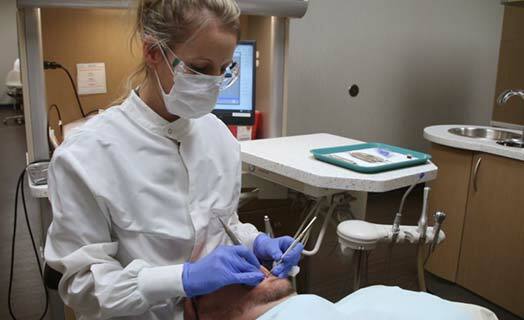 To improve our patient’s quality of life through excellence in oral health care. We consistently aspire to meet this mission by defining and living a set of values that are customer-focused, caring and compassionate. We not only live these values at our clinics, but carry them into our communities as well. Get Started with Dental Associates Today! If you’re ready to get started, request your appointment below! Our caregivers tell why they’re so passionate about offering superior dental care. See why providing care to Milwaukee-area patients means so much to Dr. Chughtai. See why Jeannie enjoys being a hygienist and what makes her career so fulfilling. 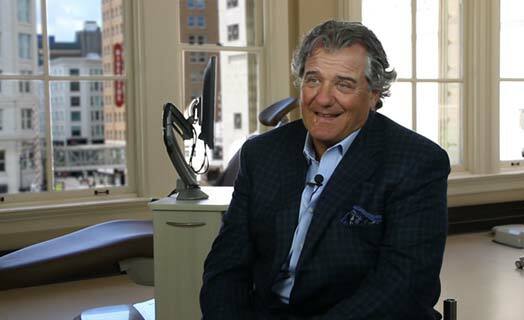 Learn why our owner, Dr. Manos, believes our clinics offer the best care in Wisconsin. 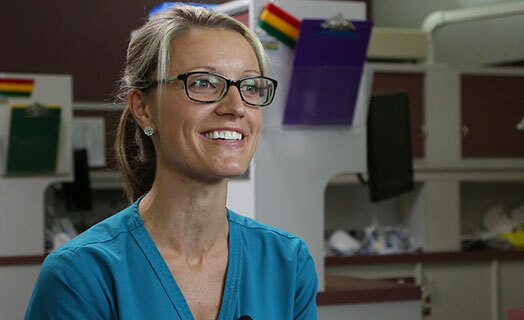 Learn why Ann feels she has a meaningful connection with her patients.